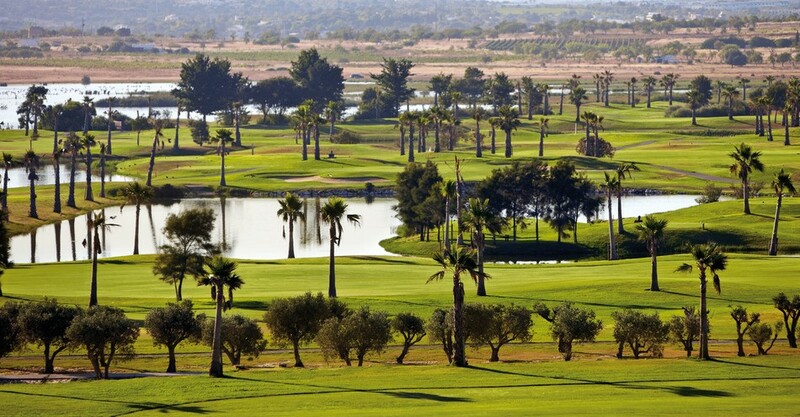 A course I have been lucky enough to play before, the 5* Penina Golf Resort is celebrating its 50th year this year. This is a very traditional hotel with a challenging golf course. I was greeted by victor the golfing director who gave me a tour of the course and practise facilities the resort has to offer. I was impressed to learn that there is an 80+ bay driving range on site. We then took a tour by the stables where Sir Henry Cotton the course designer would keep his horse/caddy when he wasn’t playing. This place has a lot of history from being the first golf course in the Algarve to hosting the Portugal Masters for 9 years, this is a course I would highly recommend. I had heard a lot about my next destination, the Amendoeira Golf Resort, mainly due to the two big named courses it was home to, The Faldo course and The O’Connor course. If it is purely golf you are interested in, then this is the place for you. The very spacious 1 and 2 bedroom apartments as well as the luxury 3 and 4 bedroom villas with private pools on site mean you never have too far to travel for your round (which you can do by the free shuttle provided by the resort). Each player receives a free hour at the driving range once their round of golf is booked which ensures you will be well warmed up by the time you get to the first tee box. The par 3 9-hole flood light golf course can also make for an interesting golfing experience. As I was on a tight schedule I was unable to play a few holes, but there’s always next time. This is home to several hotels and golf courses, the first of which I visited was Monte Santo. The modern rooms in both the hotel and apartments will make for a very relaxing stay along with the great facilities the resort has to offer. One of the most popular places to play and stay in Carvoeiro is the Pestana Resort. With 2 golf courses (Pinta and Gramacho) on site along with 432 units of accommodation you are sure to find exactly what you and your group are looking for no matter how many people you are travelling with. 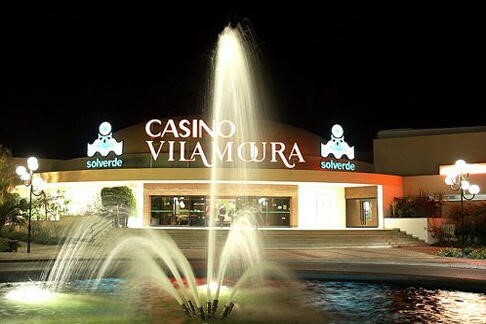 Probably the best known location in the Algarve is Albufeira. Whether it is the old-style city or the party central strip there is a lot of places to choose from. They range from standard 3* hotels right up to ridiculous 5* hotels, so you are sure to find what you are looking for, all of which are surrounded by things to do and places to see. Some other hotels worth mentioning are the Salgados Dunas Suites and the Salgados Palace, the two hotels are located between the Salgados golf course and beach, surrounded by palm trees they offer a very tropical atmosphere to spend your holiday. I headed back to the Ampalius where I heard about Tiger teeing it up in the practise round of the Hero world challenge and making 2 eagles in the first 9 holes! This really got everyone buzzing for his return. Overall I was very impressed with the Hotels I had seen so far and was looking forward to doing it all again tomorrow. Final part 3 of my trip coming shortly.